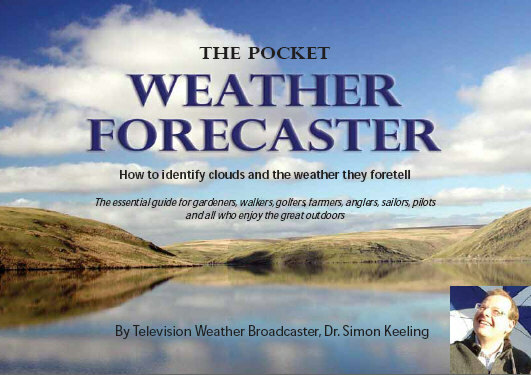 Founder and Managing Director of Weatherweb Dr. Simon Keeling is author of several books and a DVD about the weather. Some are for specialised interests such as sailors, others are of more general use for gardeners, walkers and golfers. For those who want to know more about the weather and how it works, the Weather Why's DVD is ideal. If you know someone who walks, climbs, flys, sails or has a general interest in the weather then this DVD makes an ideal gift. Or you can download Smion's books onto your Kindle or e-book, as well as ordering for quick delivery by post. You can see samples and purchase books and DVD's directly from this website and payment is made via our secure server using your credit or debit card. 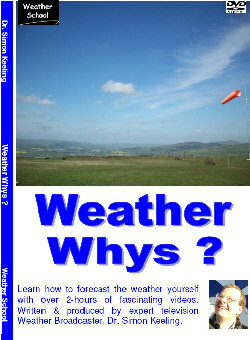 The Weather Whys DVD explains the fascinating world of weather to beginners and experts alike. It's ideal for pilots, sailors, farmers, anglers, walkers and anyone with an interest in the great outdoors. If the weather fascinates you, isn't it time you got Weather Whys? ...an excellent pictorial guide to the use of clouds in predicting the weather, the best of its kind. Huw Lloyd-Hughes.